I enjoy writing for the good people over at Chicken Soup for the Soul and I have had seven of my stories appear in seven books for them. The most recent was in Christmas in Canada where my story “Artificial Happiness” tells of our one and only attempt to have a real tree for Christmas in our home. You’ll understand when you read the story why we never attempted it again. I also had another story of mine selected last year for Chicken Soup for the Soul’s book: O Canada The Wonders of Winter: 101 Stories about Bad Weather, Good Times, and Great Sports. My story “Polar Plunge” tells of my family’s first experience with winter in our new home in 1994. 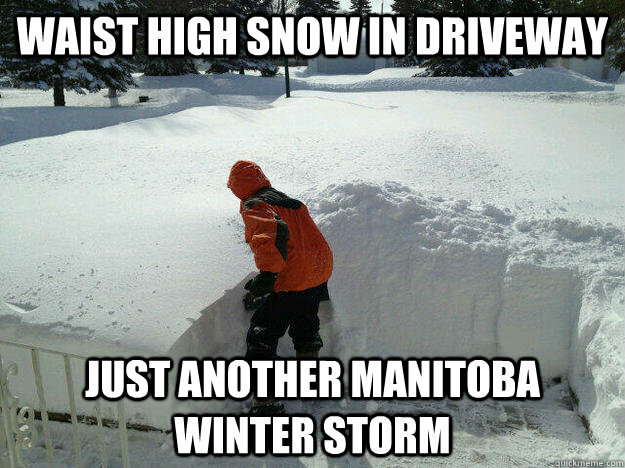 My family has braved winter here on our acreage now for over twenty years and although we have adapted to the climate, with it’s snow-eating Chinooks, and mind-numbing temperature plunges, sometimes occurring within twenty-four hours of one another causing those seasonal migraines I dread,… we have survived. I can’t help but chortle to read how the good folks in the southern U.S. of A. handle the cold. I laugh in haughty derision when they complain about a skiff of snow on the ground and temperatures just below zero. 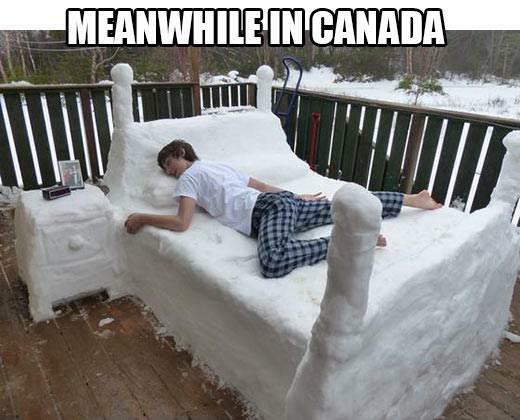 Seriously, we don’t call that cold here in Canada. In fact, temperatures of zero are considered heat waves here during the winter. To my southern friends, go out and buy the Chicken Soup book to fully understand how we Canadians brave the winter here. Not only will it make you appreciate the fact that you will only be subjected to “winter” for a couple more weeks but your plucky Groundhogs on Feb. 2nd will likely give you the good news of immediate Spring-like conditions. Your northern neighbours on the other hand, will remain buried under snow and our furry prognosticators will likely continue to hibernate, frozen in the ground until at least April. 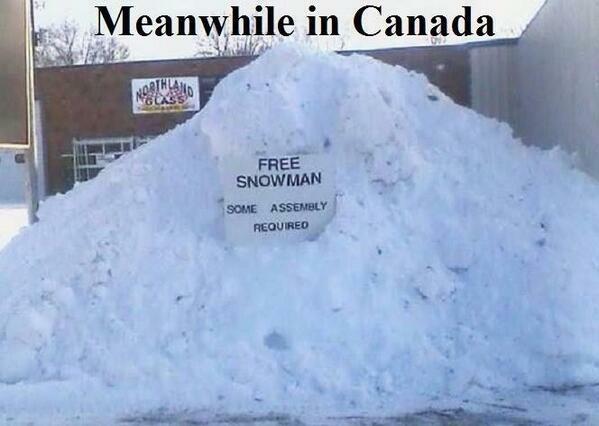 So to put it into perspective, here are some funnies about how we Canadians brave winter. 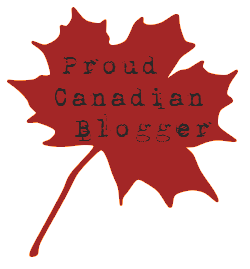 This entry was posted in Family Life, Friday Funnies, Hope through Humour and tagged Canada, Chicken Soup, Chicken Soup book, Chicken Soup for the Soul, Groundhog Day, Humour, Meanwhile in Canada, O'Canada - The Wonders of Winter, Snow, winter. Bookmark the permalink.